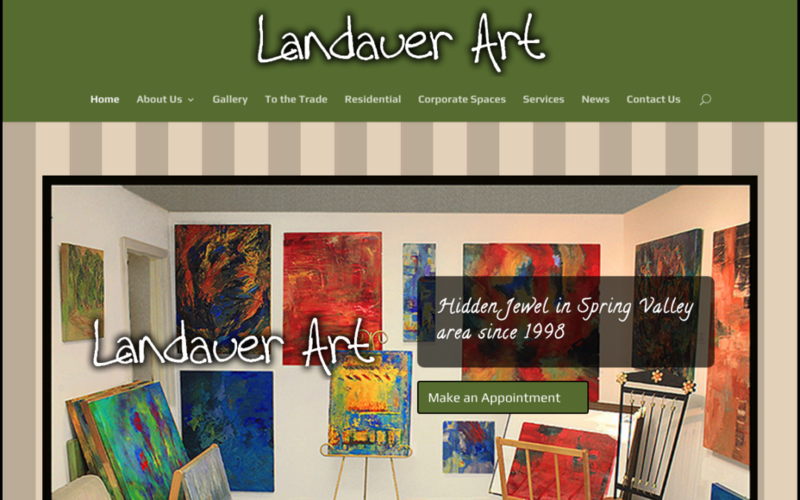 Welcome to our brand new Landauer Art wonderful mobile-friendly website created by the incredible web designer, Jay Jackson, owner of Makeitcomplete.com. The appreciation I have for Jay and his patience in working with me in creating this great website, I cannot verbalize in just a few sentences. I personally have put off making a new mobile website for over six years. Jay has taken many, many hours with his great expertise design knowledge to come up with this customized website. Working with an artistic person is not always an easy task. I have known the need to be mobile friendly due to all the facts of the internet, but I had been reluctant to spend the time getting things together, but after my first telephone consult with Jay, I knew it was the time and he was the right person, even before our first in person meeting. Jay understood all my hesitations and because of us having a good rapport and his methodical organized step by step approach, we were able to develop a unique and compelling website which features our artwork plus a few other artists we represent encompassing the entire website.